Greetings, My name is Dreamstar. I am the proud founding leader of SkyClan. My warrior name was Dreamcloud. I am a pure, snow white sleek tabby she-cat with piercing blue eyes. I am wise, kind, and thoughtful. My sister is Emberstorm and my nieces are Leafblossom and Dawnfur. My grand-nieces are Moonkit and Starkit. I have a monster-sized family history. I'll give you a taste of it. My sister Emberstorm broke the warrior code when she fell in love with Inkheart of WindClan. Secretly, she had 2 kits with him: Leafblossom and Dawnfur. Emberstorm kept Leafblossom and Inkheart took Dawnfur to WindClan with him. He told everyone that he had found a lost kit while he was out hunting, and that her parents were Firepelt and Moonstar (made up charaters). Later on, both cats, Emberstorm and Inkheart died. Judging too quickly, StarClan sent Inkheart to the Dark Forest. Noticing that they were wrong, StarClan let him have another lift. Inkheart was reborn as Hiddenshadow and Dawnfur found out about her real parents. Emberstorm and my parents were Darkblaze who was a well-built brown tabby tom with green eyes and Twinklestar who was a sleek black tabby she-cat with a white chest and paws and white tail-tip and blue eyes.We are the swiftness of your heart and we come and go silently like the wind itself. Leafblossom doesn't want a mate! She is very loyal to StarClan. She is a light brown tabby she-cat with dark brown tabby stripes. She has white paws and neck and she has green eyes. 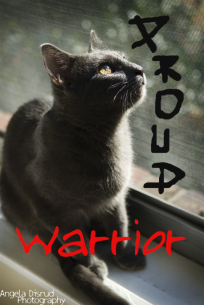 She had her kit before she was a medicine cat-she didn't break the warrior code! Yellowstorm is a male! He believes in StarClan, but basically just because everyone else does. Yellowstorm is proud to be deputy of Skyclan. 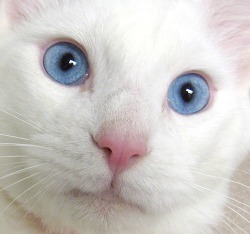 He is a light orange tom with bright blue eyes. He is very loyal to Skyclan and Starclan. He wants a mate if anyone is interested. 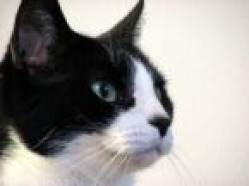 Visit his website at web.me.com/madeleine18/warriorcats101/Home.html The website is awesome! He is energetic and is a good hunter and fighter. He is as loyal as ever! Hiddenshadow is very loyal to StarClan! 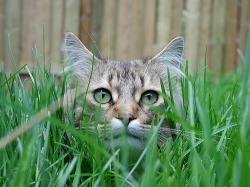 He is a gray tabby tom with jet black tabby stripes. Strong, muscular, wise, and honest. Hiddenshadow has his own soul inside his body besides Inkheart's. Hiddenshadow's soul has a crush on Lightningstripe, though he has no clue if she does or doesn't like him back. Inkheart's soul, on the other hand, is deciding if his soul should either stay in Hiddenshadow's body or leave to stay with his love in StarClan. Bluefeather is a strong warrior. He uses his head to think things out and is very fast, possibly the fastest. He is good friends with Sootstar, he is her brother. He is supportive to her and helps her when she needs it. He is very loyal to StarClan and his Clan. Bluepelt is a female and wants a mate. She is very loyal to StarClan! 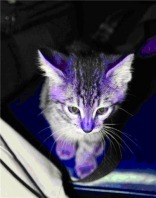 Bluepelt is a blueish-gray she-cat with a silver tail tip. She has blue eyes and loves to explore. 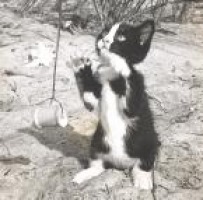 Lightningstripe is a female and wants a mate. No cat should even question her loyalty! 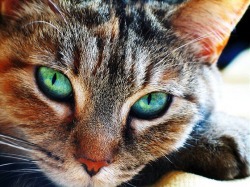 She is a glodern tabby she-cat with orange stripes and amber eyes. Yellowpaw would like to have a mate when he is a warrior. He is a light brown tabby she-cat. He is sweet, fierce, brave, fast, loyal and a fast learner. He is very loyal to StarClan and would only break the warrior code for a good reason. All he wants to be is a loyal ThunderClan warrior! He has a crush on Mothfeather, will she like him back?? Sparklepaw might wants want a mate once she is older. 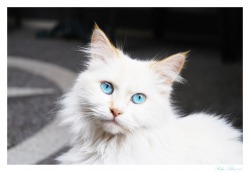 She is a white she-cat with blue eyes, she is not deaf although. Her fur is short and she has a black tip on her tail. She is very loyal to StarClan! Sparklepaw might want a mate in the future. Sparkle paw is a small white she-cat with blue eyes, she isn't deaf though. Her tail has a white tip and she has short fur. She is very loyal to StarClan! Starpaw is very loyal to StarClan! 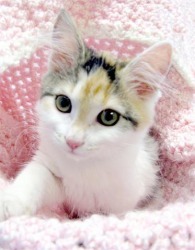 She is a beautiful calico with blazing amber eyes that glow in the dark when it is black. She would like to have a mate when she is older. She is a very good friend of Dawnfur and looks up to her. 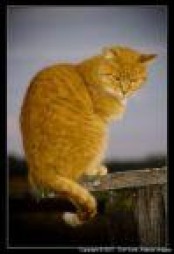 She is always loyal to her clan, but sometimes helps other cats in other clans if they need it. Dawnfur is sweet and kind, plus caring to all. She would like to have a mate, one who is kind and caring and loves kits.She hopes to maybe, just maybe become Clan leader. Dawnfur loves to help others. Dawnfur is a solid black she-cat with a white muzzle and a croked tail. She is strong and fierce and will stand up for any cat who is in trouble. If she got a mate she would want three kits. Starkit is a she-cat and wants a mate! No one should even question her loyalty to StarClan! She is a glossy silver and white tabby she-cat with starry blue eyes.